Last week in our class, we began our travels to the south to learn about penguins. This is one of my favorite units. We focus on the adaptations that penguins and other polar animals have to help them survive in the frigid weather. We started off talking about both the Arctic and Antarctica regions. We learned which animals lived in each area and what the polar ice cap is. My firsties were feeling pretty smart! We watched this video (a great series), which was great about talking about the differences between the north and south. After talking about polar animals, we began our focus on the south and discussed what we already know, or think we know about penguins. Here is our schema chart we made to get us started, (don’t laugh at my penguin). It was a quick draw. As we read and learn more about penguins, we will take off any sticky notes that were misconceptions and put them on our misconception poster (not pictured, but you can get a free one here). During our daily five, I love to give my kids the opportunity to write fiction and non-fiction. 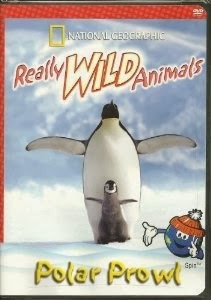 I will be adding the polar animals word list to their writing folders this week (read more about them here) as well. My math and literacy tubs will be filled with penguin themed activities that reinforce skills we have previously worked on. You can read more about them here. There are so many great penguin resources out there. I have a round-up of penguin books on this blogpost. Here are some more resources below. I have also scoured Pinterest for some fun polar animal resources. Click on the board below to discover some ideas. Follow The Teacher Bag’s board Polar Animal Resources on Pinterest.